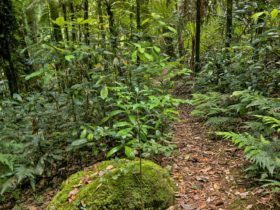 At Antarctic Beech picnic area in World Heritage-listed Border Ranges National Park, near Murwillumbah, enjoy a picnic, walking and birdwatching in a rainforest setting. 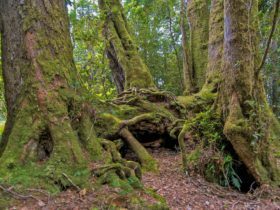 Picnic amongst the dark green canopies and gnarled trunks of ancient Antarctic beech trees. 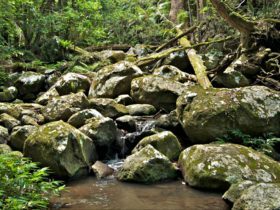 This is a great place to stop and rest if you’re camping, bushwalking or car touring, as there are picnic tables as well as wood barbecues and toilets. Or, just sit down with a thermos and enjoy a cuppa. 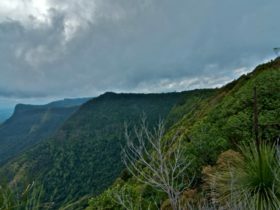 Here, you can relax, recharge, and enjoy expansive views north across the Lost World wilderness area to the Queensland border and Lamington National Park and beyond. Be sure to bring your binoculars and camera if you enjoy birdwatching, wildlife-spotting and photography. 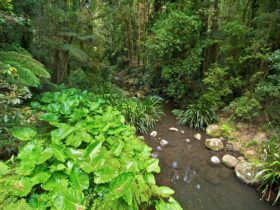 Pademelons and bandicoots graze around the picnic area in the early mornings and evenings, and interesting native birdlife you may see include lyrebirds, sooty owls, fruit doves, noisy pitas, green catbirds, honeyeaters and olive whistlers. Dingoes can also sometimes be seen and heard, most often in the early morning. 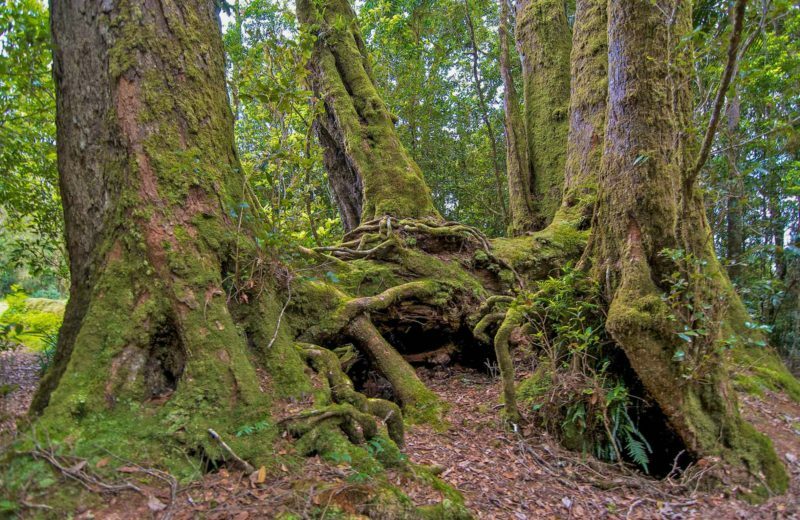 During springtime, beech orchids bloom high on the trunks and branches of the trees, while in summer the Illawarra flame tree can be spotted glowing red amongst the dark green canopy.